Our take on the classic Dark 'n' Stormy cocktail made famous by Gosling's Rum. 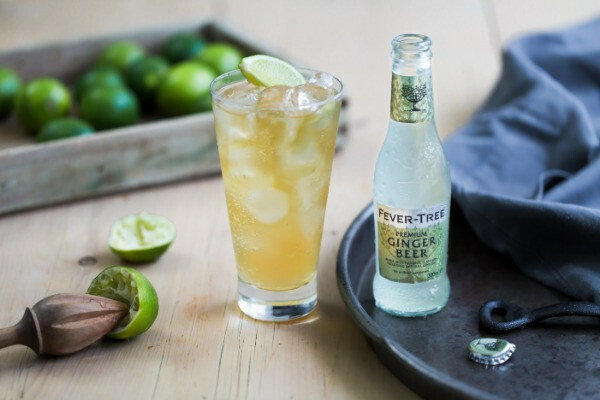 The rich and sometimes spicy notes of the finest dark rums pair perfectly with the warmth of the three varieties of ginger that is packed into Fever-Tree Ginger Beer. The two paired together makes for one of the most refreshing cocktails around; it's also incredibly simple to make. Fill a highball glass to the very top with ice so that the drink remains colder for longer. Pour in dark rum (can be spiced) and add a generous squeeze of fresh lime juice. Then pour the Fever-Tree Ginger Beer and garnish with a couple of lime wedges.